I finally made a video on styling my daughter's hair. I hope the video helps. This was the style she wore for the last 11 days!!!. When I took the threads out, I did not have to battle with knots and tangles, her hair was stretched and soooo soft. I loved it so much that I threaded my own hair. 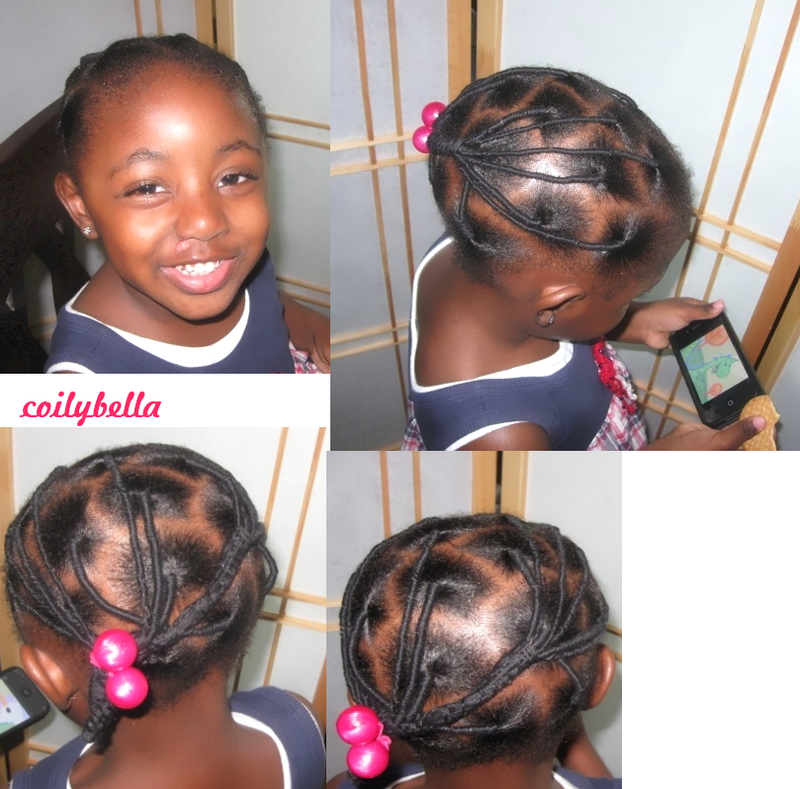 This a great protective style, it is awesome. I really enjoyed tha vid very creative style!,I tried ta do tha treadn on my 2yr old as well & I hafta said I dun well ta I got down ta da end of da hair,I'm still kinda lost on how u tie da knot lOl u shuda seen how close I had my eye on ya vid jus ta see how u knot da thread at da end..sad ta say I'm still a bit clueless lOl,but ma keep up tha gud work!,ya daughters hair is always on point neatly dun etc (((smiles))) Yah bless! Tinuke you have become an expert o! Wow your daughters hair looks good.Well done. Her hair is getting thicker! Cute style. Your daughter is sooo adorable! This is a great style for kids. Easy to maintain, versatile, cute & unique. Love it! Brings back my childhood days.